LIL SWATARA'S NIGERIAN DWARFS - Welcome! OUR SOAP & GIFTS CLICK HERE! Goodwood, NC Promiseland, Woodhaven Farms and more.
" 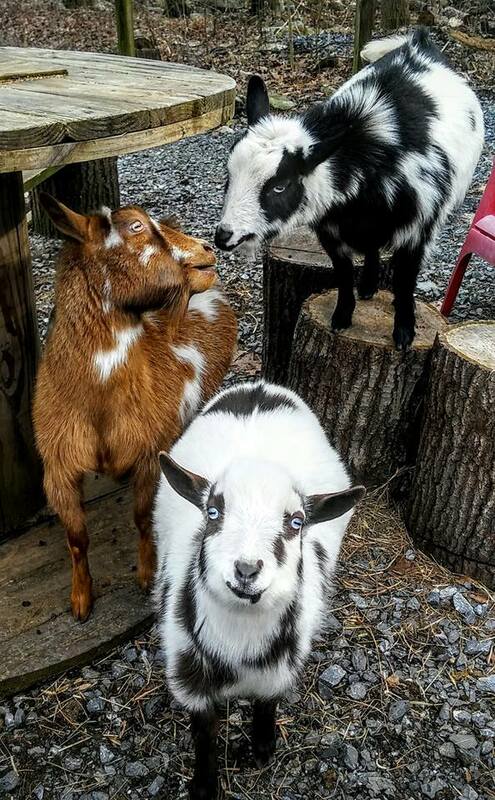 5 GREAT Reasons to Choose Nigerian Dwarf Goats for Milk "
We will have more kids (baby goats) arriving in January-April 2020. It is such an exciting time to see the kids & such wonderful colors and patterns these little goats can produce! Please check out our SALES PAGE to see what is available. I will gladly take names & contact info via email and let you know when kidding has begun since we do not take reservations or deposits. Our herd is tested Annually for CAE/Johnes and negative. We would love to have you visit EASTERN PENNSYLVANIA soon!